Eggplant is a very good source of dietary fiber, potassium, manganese, copper and thiamin (vitamin B1). It is also a good source of vitamin B6, folate, magnesium and niacin. Eggplant also contains phytonutrients such as nasunin and chlorogenic acid. 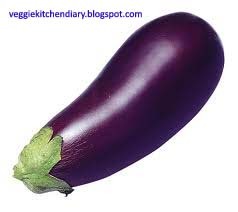 Eggplant is low in calories It contains a large amount of water. It is good for balancing diets that are heavy in protein and starches. Punjabi Baingan Bharta is just one of the several versions of Eggplant Bharta there are in Indian cooking. The word Bharta (pronounced BHURR-taah) refers to dishes in which the ingredients are roughly mashed either before or after the dish is prepared. Bhartas are largely North Indian in origin and made from all sorts of vegetables. 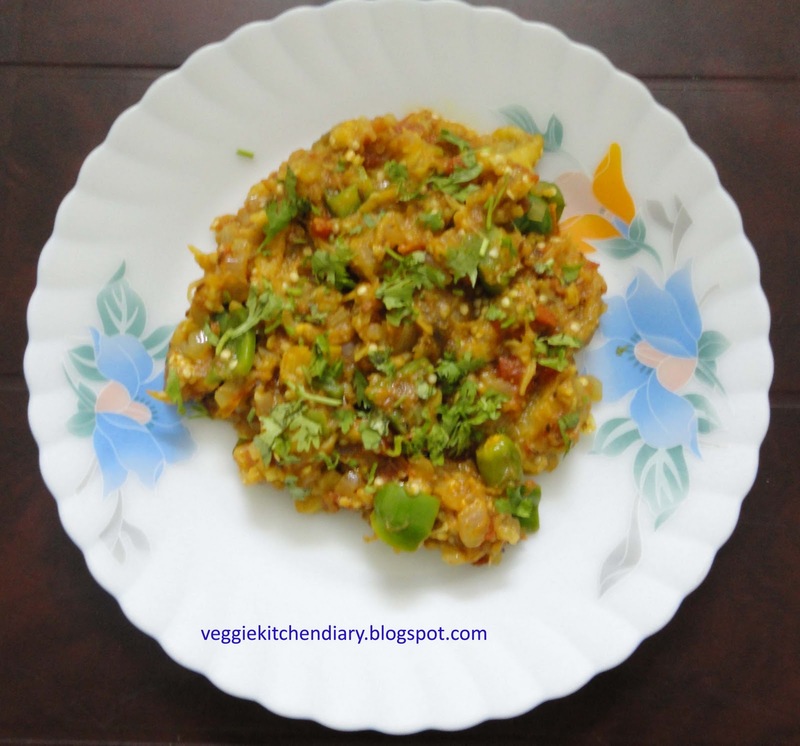 Baingan bharta is prepared with the really large brinjal variety. It is typically charred over direct flame, which imparts to it a delicious aroma. Mashed eggplant cooked with spiced tomato very flavorful dish usally served with rotis or phulkas. 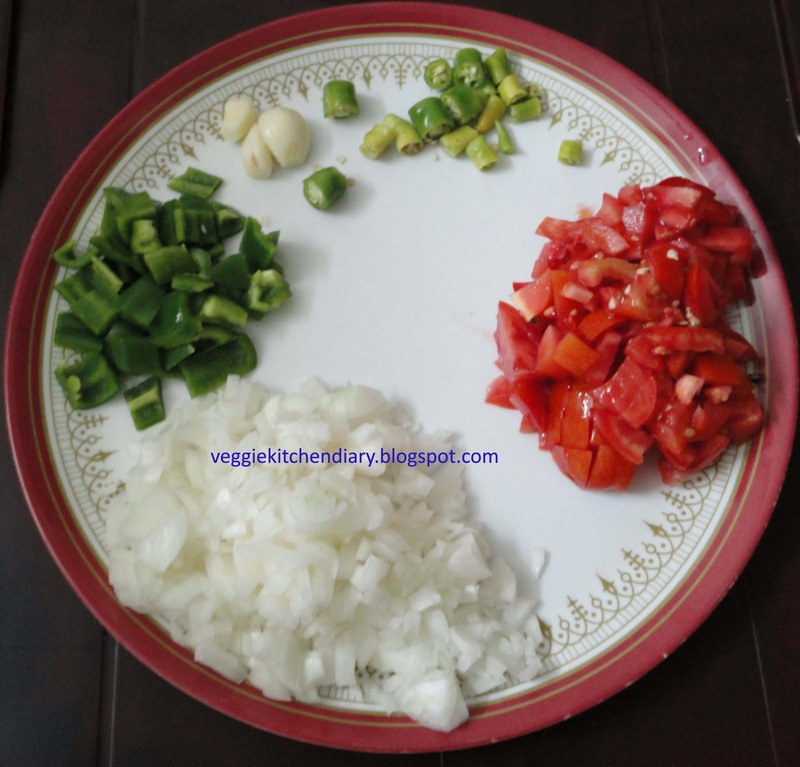 3 onions medium finely chopped. 1. Apply little oil to the eggplant.Roast on a gas cooktop by just placing the eggplant straight on the burner and keeping the flame on low setting. Keep turning and cooking till all the skin on the eggplant is charred and the inner flesh looks really soft. 1.1 Grill in your oven grill or on your barbecue grill. Again, keep turning periodically till all the skin on the eggplant is charred and the inner flesh looks really soft. 1.2 Roast in your oven till all the skin on the eggplant is charred and the inner flesh looks really soft.Once the eggplant is roasted, allow to cool fully and then peel off and discard the charred skin. Once cool, coarsely mash and keep aside for later use. 2.Now heat oil in a Kadai, When hot, add the cumin seeds and cook till the spluttering stops. 3.Add the onions and fry till soft and translucent. 4.Add the garlic and fry for 1 minute. 5.Add the tomato and all the powdered spices, including the garam masala. Stir well and cook for 3-5 minutes, stirring often to prevent the spice mix from sticking to the pan. Sprinkle a little water if needed. 6.Now add Capsicum and green chillies.Let it cook for 3-4 min till the capsicum is tender but retains its crunchyness. 7.Now add the eggplant and mix well. Add the chopped fresh coriander and mix gently. Cook another minute and turn off the heat.